Paper used is a premier coated bond that meets and exceeds certification standards set by NOAA. MapHouse prints charts using some of the most advanced printers on the market to ensure the highest quality print. MapHouse retrieves current data directly from NOAA for every chart ordered. Furthermore, all prints are wrapped in a slip sheet snugly fit in a tube to prevent any damage in transit. 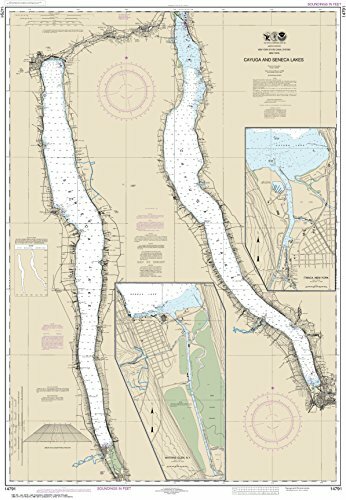 NOAA Chart 14791 is printed on demand by Certified NOAA chart agent: MapHouse LLC. Printed on demand using the most up to date NOAA dataa and latest Notice to Mariners (NTMs) applied at time of print. Meets United States Coast Guard carriage requirements. Pre-production finishing for display quality. Ships flat with no folds: Rolled in a tube. If you have any questions about this product by MapHouse, contact us by completing and submitting the form below. If you are looking for a specif part number, please include it with your message.